Google has recently closed a few of its less popular services, but it's still rolling out fantastic new tools and improvements on a regular basis. 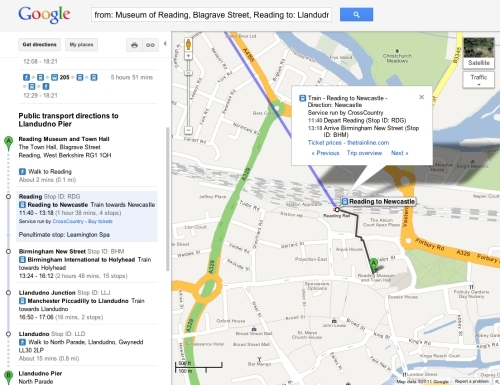 Let's reveals 50 of the most useful new Google features. Personal results are part of Google's new 'Search, plus Your World' update. 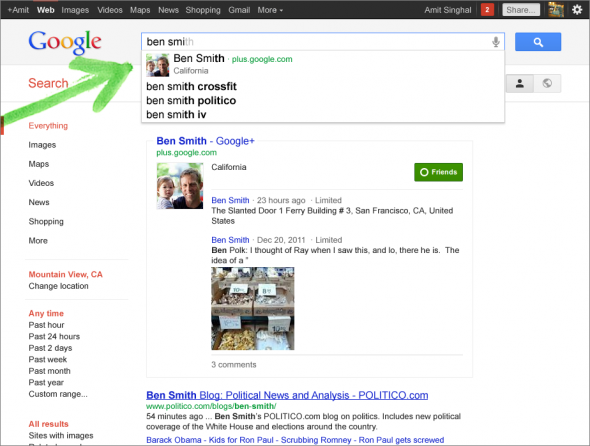 They show up when you run a search while signed into Google, and include Google+ photos and posts shared by you and your friends. To turn off this feature, click the cog icon in the top-right corner, choose 'Search settings', and then select the option 'Do not use personal results'. See our Mini Workshop below to find out how to use 'Search, plus Your World'. If you want to connect to a friend, colleague or celebrity, start typing their name into the search box. 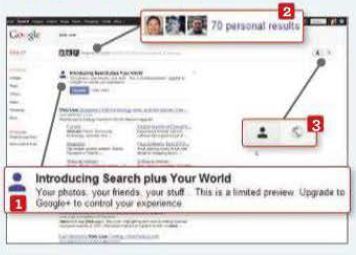 Google will attempt to identify who you're looking for and show a profile containing data from their Google+ page (provided they have one). 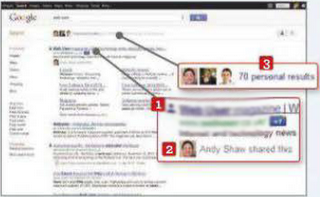 Run a search for a popular topic, such as cars, and you may see a list of Google+ users who frequently post about it. If you like what they have to say, you can connect to them via Google+ to keep track of content they share. Run a search in Google and visit the page of one of the results. 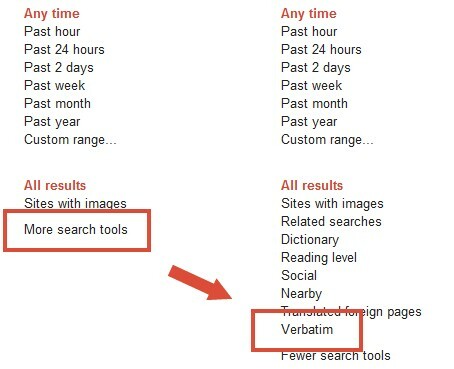 If you find it's not what you're looking for, go back to the results page and you'll now have the option to block that site, so it doesn't appearing in your future results (provided you're signed into Google). You can view blocked sites (and unblock them) under 'Search settings'. 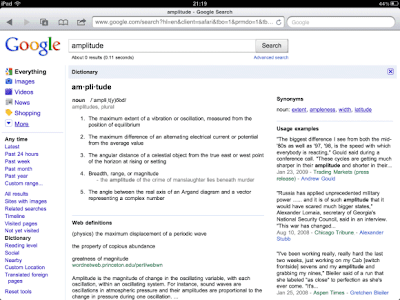 Google Search has a built-in dictionary. 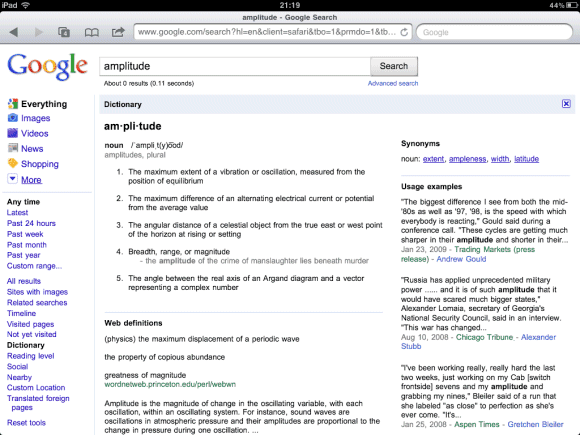 Type Define, followed by a word to look up and Google will tell you what it means and how to pronounce it. You can also listen to it being spoken. The dictionary results now show you synonyms for that word, which saves you having to search for a thesaurus. Google's +1 buttons (the Google equivalent of Facebook's Like) used to appear next to every search result, making the page look untidy. They are now hidden by default, and will only be shown when you move your mouse over a result. If you click a +1 button, it will be displayed permanently. 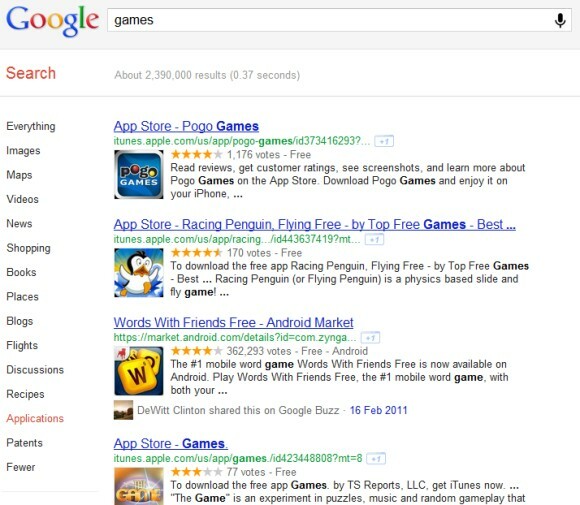 If you're looking for a certain kind of app for your Android or iOS device, Google can help you find it. Type what you're looking for into the search box (adventure games, for example), then click the More option on the left side of the page and select Applications. 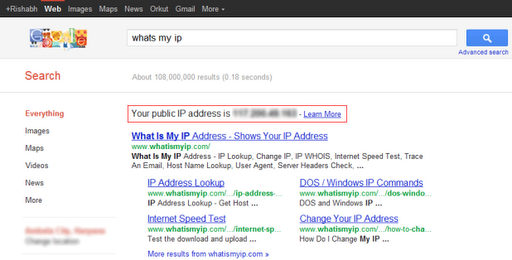 If you want to know what your public IP address is, you can now ask Google. Just type 'my IP' into the search box and the answer will appear below. 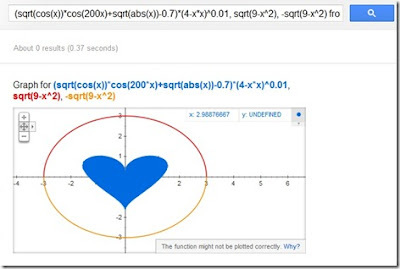 Enter a mathematical function (or a series of functions separated by commas) into the search box and you'll now see an interactive graph that you can zoom in to. You can also use words like 'plot' or 'graph' when searching, for example, Graph y = 2x + 1. WebP is a new image format developed by Google as an alternative to JPEG. 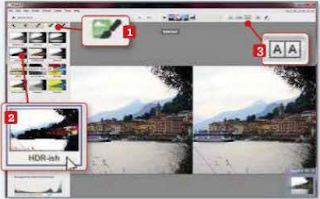 To look for content encoded using WebP, go to Google Images and click the cog icon in the top-right corner. 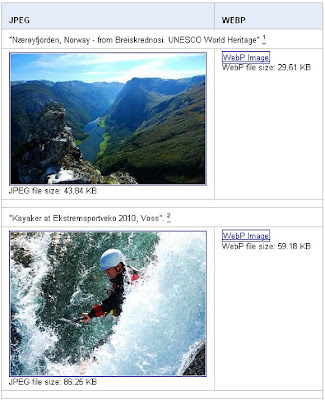 Select Advanced Image Search and choose WEBP files from the drop-down 'File type' menu. 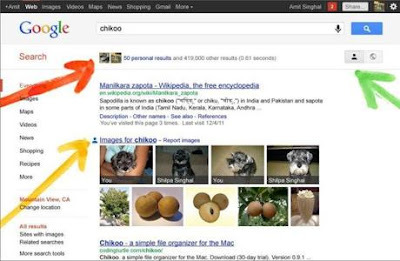 Google recently axed it’s '+' search function, which used to ensure a word was included in searches if it was preceded by a plus sign. 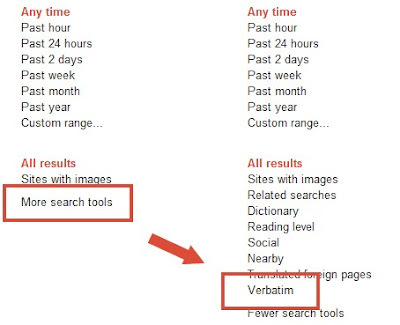 If you now want to make sure every term in the box is included in your search, you'll need to click 'More search tools' on the left side of the page and select Verbatim. 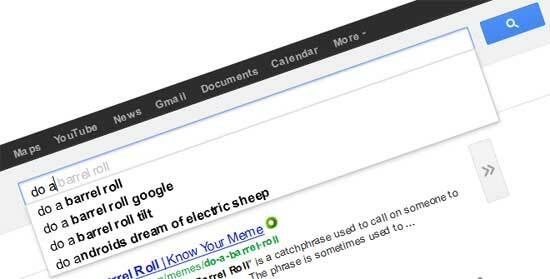 Type the phrase 'do a barrel roll' into Google and the site will treat your search as a request and do precisely that. Other t ricks to try include typing Tilt (or Askew), Google Sphere and Google Gravity. You'll need to hit the I'm Feeling Lucky link to see the last two in action. Personal results are recommendations, posts, photos and tips shared by your friends. They are marked with a blue icon (1) and will often only be visible to you. 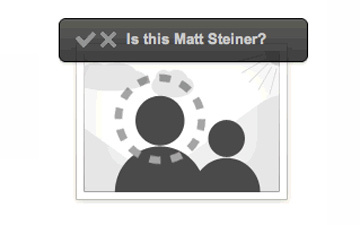 The person responsible for sharing an item is displayed below it. 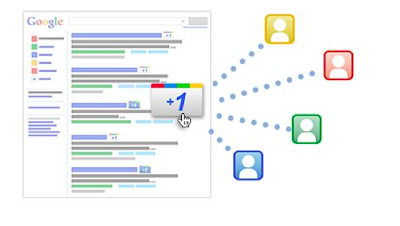 (2) Clicking the 'Personal results' link (3) will display all matches from people you know. Search for a friend (or yourself) by name. 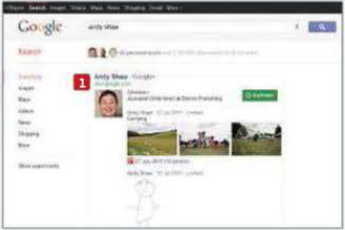 Provided the person you're looking for has a Google+ account, you should see a profile that includes information, photos and posts pulled from their account. (1) Other personal results will appear below, and you can see all the matching results by clicking the top link. Google now lets you connect Facebook and Twitter to your YouTube account so you can see which videos are being shared by your friends. To add one or more services, click the Social button in the menu on the left, and then click the link to connect more social accounts. 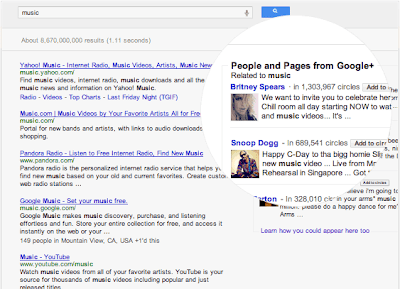 Google+ is included automatically. YouTube suggests channels you might enjoy based on your subscriptions and the videos you've watched. Six suggested channels appear in the bar on the left, but if you click the 'see all' link at the bottom, you can get even more recommendations. 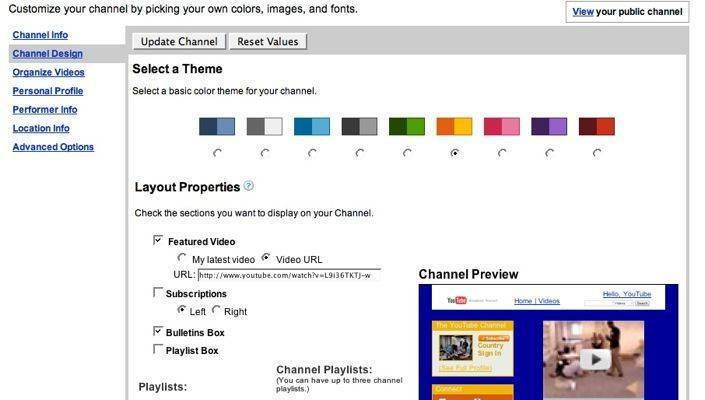 All YouTube users can create a channel, which is a page that contains your uploaded videos. The site now offers a choice of designs so you can pick one that best reflects your tastes. 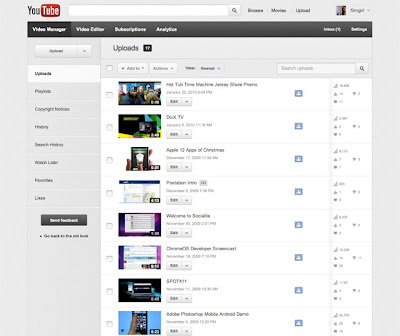 Click your username and select My Channel. 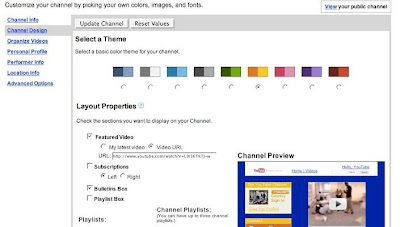 Click the Edit Channel button and then click the Featured tab. There are four designs on offer: Creator, Blogger, Broadcaster and Everything. 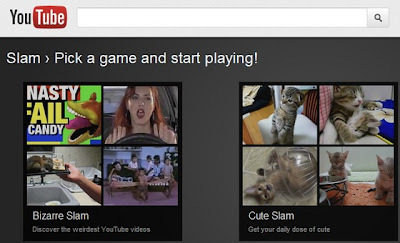 Described as 'a video discovery experiment', YouTube Slam (www.youtube.com/slam) serves up a pair of videos and lets you vote for your favorite. The most popular clips are then featured on the Slam leader-board. YouTube's HTML5 player will eventually replace the default Flash one. 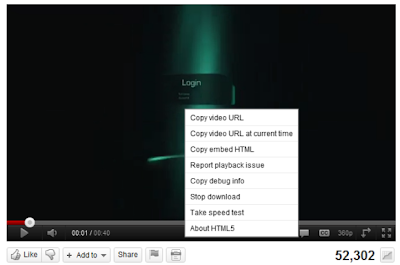 The latest version lets you turn on captions and annotations, and copy the URL and embed code of a clip by right-clicking. You can join the HTML5 trial at www.youtube.com/html5. The page will tell you which elements your browser supports. You can now watch full-length films on YouTube (www.youtube.com/movies). 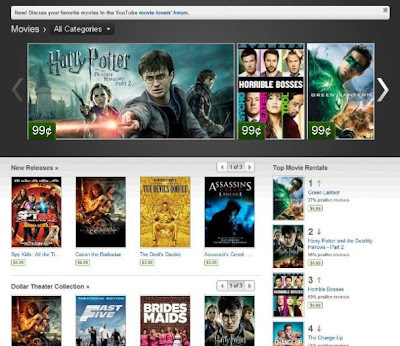 Newer releases, such as Harry Potter and the Deathly Hallows- Part 2 and The Hangover II, cost £3.49 for a 48-hour rental, while older titles such as Happy Feet are £2.49. You can also stream some films for free, including Lantana, Guy Ritchie's Revolver and sci-fi thriller Android Apocalypse. YouTube Analytics (www.youtube.com/analytics), which rep laces the Insight tool, gives a quick overview of how your uploaded videos are performing, showing the number of views, subscribers, likes, dislikes and so on. 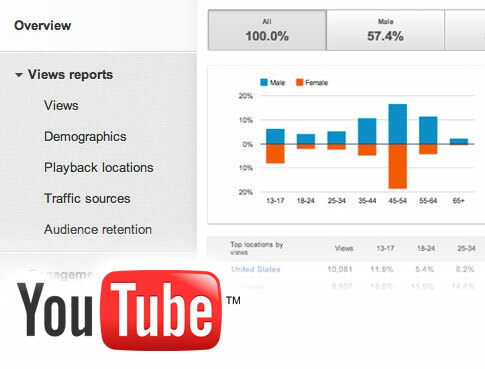 Analytics also shows more detailed information, such as what proportion of viewers are male or female. 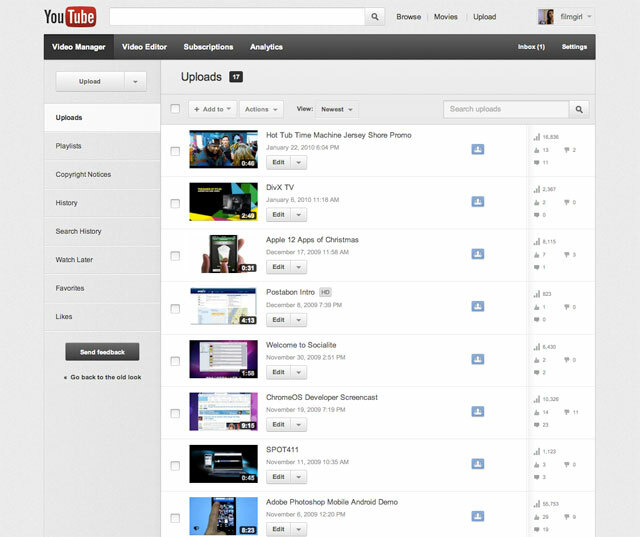 YouTube has redesigned its Video Manager to make it easier to organize and edit the clips you upload. Navigation bars have been simplified and icons show at a glance a video's privacy status and whether it's HD or captioned. To use it, click your username, select Video Manager and then click Try It Now. 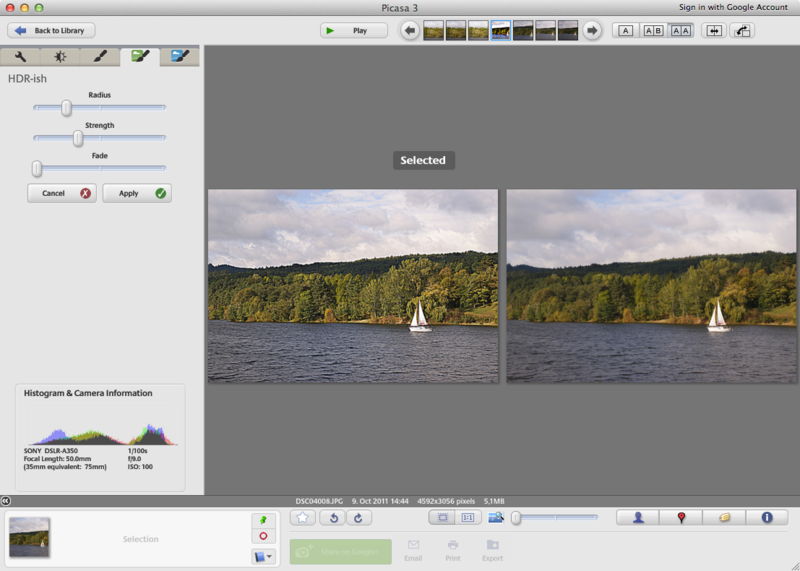 Picasa now lets you compare two photos side by side. Open one photo, and then use the buttons at the top of the screen to open a second copy or a different image. You can choose which picture to open using the thumbnails at the top of the screen. 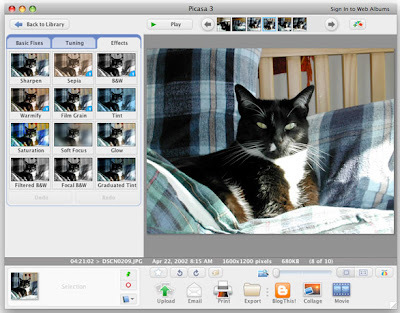 Picasa has made it easier to move the photos database to a different location. Go to Tools, Experimental, and select Choose Database Location. Browse for a new place to store the database information, and then click 'Move on next restart'. 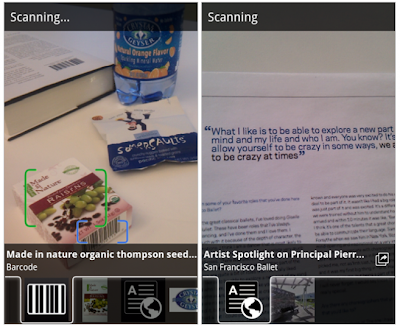 The most recent version of Google's photo organizer (Picasa 3.9) has lots of brilliant new effects and filters. These include Infrared Film, 1960s; Posterise, Pencil Sketch and Comic Book, all of which can be accessed via the green and blue paintbrush tabs that now appear in the software. See our Mini Workshop (right) to find out how to use the new effects. 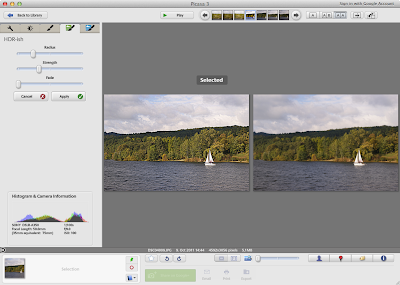 Launch Picasa, open an image and click the green tab (1) to view the first selection of new filters. Click one of the effects, such as HDR-ish, (2) to apply it to your photo. If you want to see how your changed version compares alongside the original, click the (3) button at the top. Click Apply to make the change or Cancel to remove the effect. There are more filters under the blue tab, (1) including Boost, which intensifies colors, (2) Vignette, (3) which darkens the edges, Focal Zoom, (4) which creates a starburst effect, and Polaroid, (5) which lets you change the background color of an image and alter the angle of rotation. 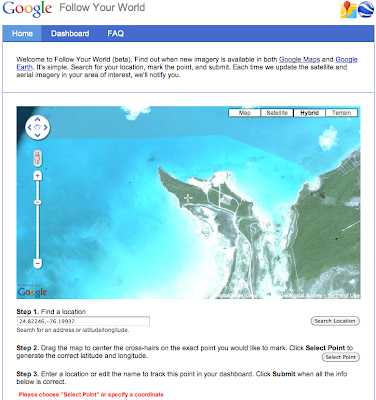 If you want to know when Google has updated its aerial and satellite coverage for a particular location (your street, for example) you can use the Google Follow Your World dashboard (https://followyourworld.appspot.com). Add one or more locations and, when their imagery is updated, you'll receive a notification by email. 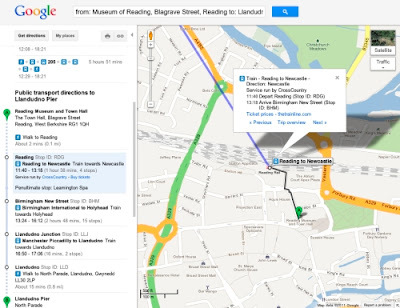 UK commuters can now use Google Maps to plan their rail journeys. Just click the 'Get directions' button, choose 'By public transport' (the train icon) as your travel method, select the start and end points, then pick Train as your preferred travel option. Links to buy tickets are shown on the left. Ever wondered exactly what area the first part of your postcode covers? 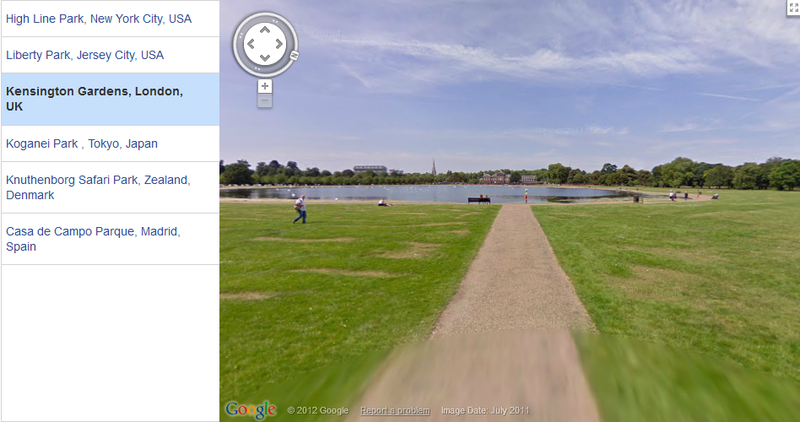 Type it into Google Maps and you'll see a pink dotted line marking the boundaries. Zoom out and the whole area will be highlighted in pink. This also works with counties and cities. 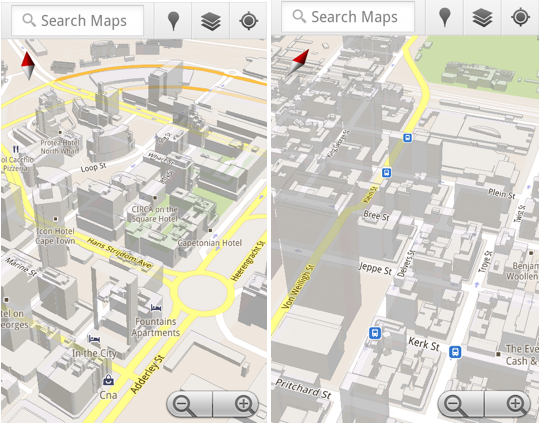 Google has created a new version of Maps that’s powered by WebGL (Web Graphics Library). This makes use of the latest web technologies to deliver hardware-accelerated performance without the need for any plug-ins. The MapsGL site also features more 3D buildings, 45-degree satellite imagery and speedier access to Street View. To use it, open the standard Maps site in Firefox or Chrome and click the 'Try it now' button, which should appear under Experience MapsGL. Google has added 3D buildings to a number of new locations, including Rome, Seville, Amsterdam and Las Vegas. Just fly to one of those cities and zoom in. 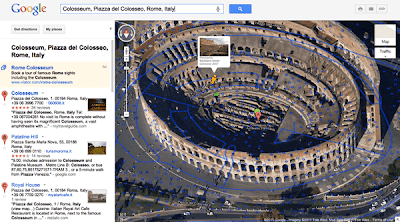 3D representations of all the major buildings will appear as you get closer to the ground. If you have the official Gmail app for iPhone, iPad or iPod Touch (bit.ly/gmailiphone285), you can create a note or a drawing, and attach it to a message. 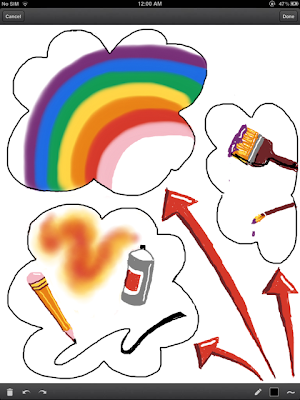 Just begin composing an email as normal, then press the Scribbles icon at the top of the screen to open a blank canvas. 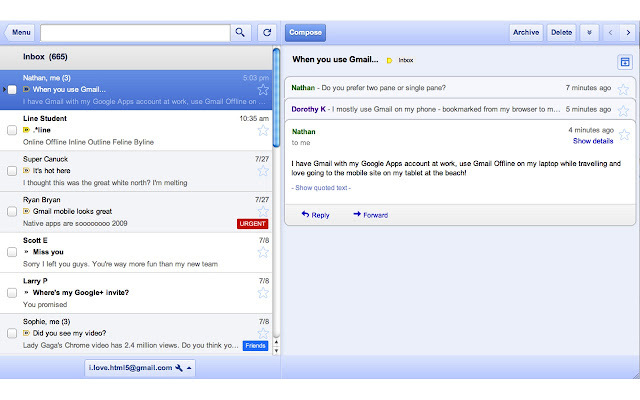 Even without an internet connection, you can still access your emails by using the official Offline Google Mail add-on for Chrome (bit.ly/offline285). The most recent release lets you sync up to 31 days of mail and will download all the attachments, too. 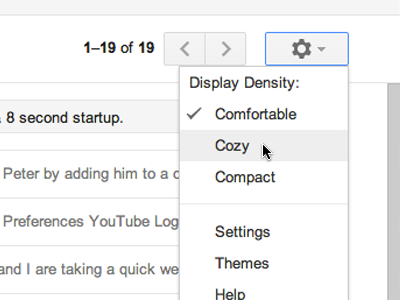 Gmail's new layout supports 'dynamic densities', which adjust its look, based on the size of your screen or window. To see this feature in action, just resize your browser. You can also adjust the actual display density by clicking the Settings button. For security reasons, it's a good idea to change your passwords regularly. 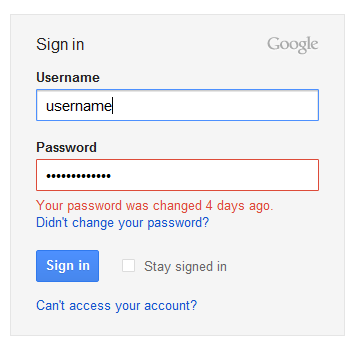 If you change your Google password and then try to log into your Gmail account using the old password, Google will now tell you it's been changed, to stop you entering the same wrong choice again. 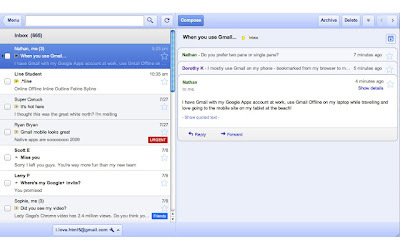 Gmail's recent design update introduced some new high-definition themes, using imagery supplied by stock-photography site iStockphoto. To access these, click the Options cog, select 'Mail settings', and then click the Themes tab. HD-theme categories include Wood, Beach, Mountains, Planets and Tree Top. 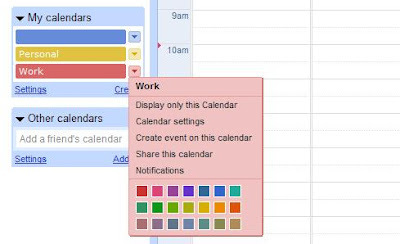 Google has updated the colors on its calendars, g1v1ng you a choice of 24 shades Existing calendars have already been updated to the closest match in the new palette. To change a calendar's color, click the arrow next its name in the 'My calendars' list on the left and choose from the available options. If you don't need entries for first thing in the morning or last thing at night, you can hide those hours in your calendar. Click the Options button, select Labs and enable 'Hide morning and night'. This will add two handles to the calendar that you can drag up and down to hide the hours you don't need to be visible. Arranging an event or meeting with several colleagues or friends can be difficult if everyone is busy at different times. Fortunately, Calendar can check all the participants' shared schedules and suggest a time when everyone is free. To use this feature, create an event, add some guests, then click Suggested Times. When you click the notifications button in the black Google bar, you'll now see a more useful sneak preview of any Google+ activity, including how many +l's and shares your posts have received, all updated in real time. Find My Face is an opt-in facial recognition tool that lets Google+ prompt your friends to tag you whenever you appear in one or more of the photos they're sharing. You can choose whether to accept or reject the tags once they appear. To allow the feature, click any photo and accept the 'Turn on Find My Face' prompt, or go to Google+ Settings. 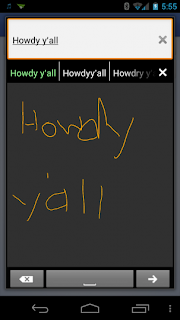 The Hangouts feature lets you share the contents of your screen with friends. 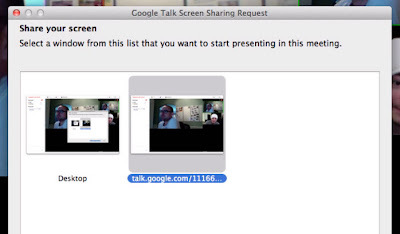 Create a new hangout, click the 'Try Hangouts with extras' option and then click the green button. When the hangout starts, click Share Screen at the top of the page and choose the view you want to share. 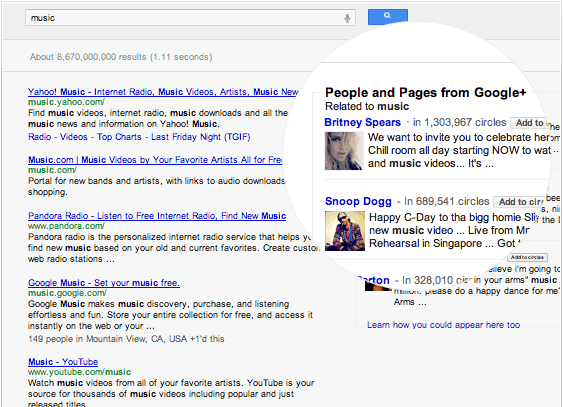 The main Google+ stream contains posts from all your circles, which won't necessarily be what you want. Fortunately, you can now adjust how much content comes from each circle, ranging from everything to nothing. Select a circle and then use the slider at the top to manage its input. 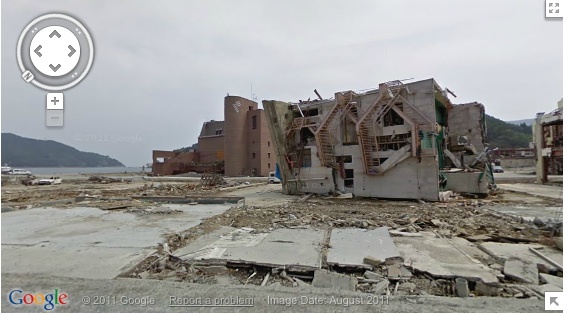 Last March, a massive earthquake and tsunami devastated large areas of north-eastern Japan, and Google now lets you view the destruction for yourself. You can explore the imagery in Street View and visit the Memories for the Future website (bit.ly/japan285) to compare before and after shots of the affected area. You can now enjoy the splendor of some of the world's most famous parks, including Kensington Gardens, New York's High Line Park, and Tokyo's Koganei Park, without having to set foot outside. Just go to bit.ly/parks285 to begin exploring. 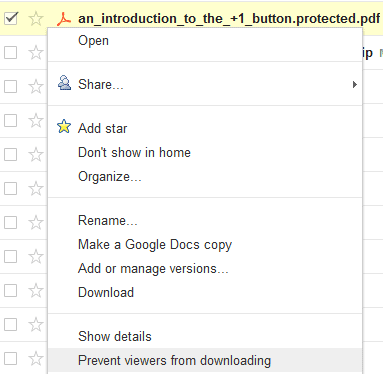 Google Docs recently updated its Presentations component to add more than 50 useful new tools. These include an HTML5 rich-text editor, new themes, and support for transitions, animations and simultaneous editing. To use the improved feature, click the cog icon in the top- right corner, choose presentations using the latest version of the presentation editor'. 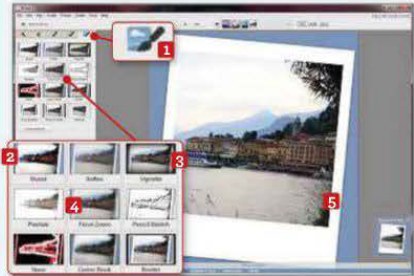 By default, PDF documents can be downloaded by anyone you share them with. To disable this option, so that people can only view the file online, right-click a PDF and select 'Prevent viewers from downloading'. 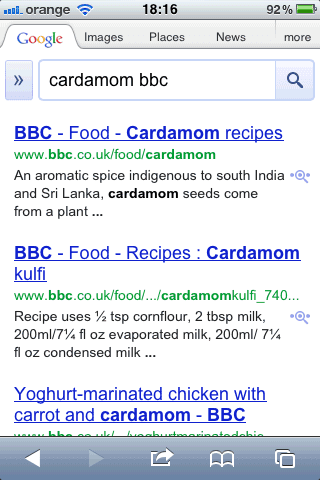 If your eyesight's a bit dodgy, reading search results on a mobile can be a challenge. 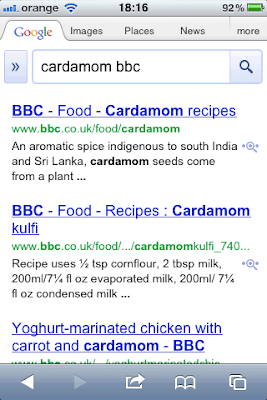 Fortunately, Google recently boosted the size of its text in Android and iOS (and reduced the length of each result) to make results easier to see. The one downside is you now have fewer results per page. 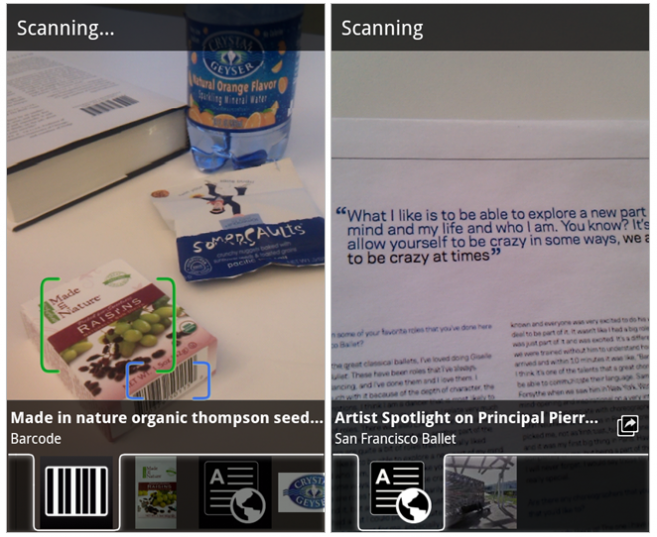 Google Goggles (http://bit.ly/goggles285), the Android app that lets you search for things using photos taken with your mobile, has a clever new Continuous Mode. 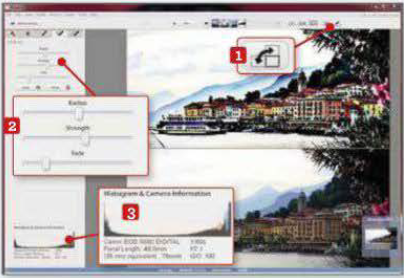 This analyses a scene and shows the results without you needing to snap a picture. 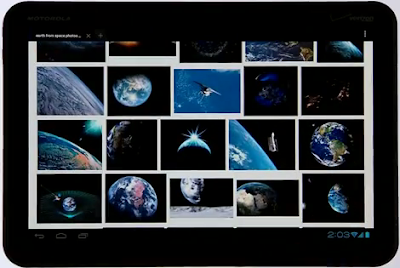 If you have an iPad or an Android tablet, you can now explore Google Image results in a smart carousel view. Open an image in the results window to see it full screen, t hen swipe left or right to move through the rest of the results in sequence. You can now switch between different languages via tabs. Type or paste something into the left-hand window, then click one of the language choices on the right to view the results. To change the languages on offer, select one or more options in the From and To drop-down menus. The Google Translate app has a clever conversation mode that lets two people communicating in different languages take turns to speak into the handset's microphone. The app then reads out the translations. It supports various languages including Spanish, French, German, Italian, Japanese, Chinese, Polish and Russian. 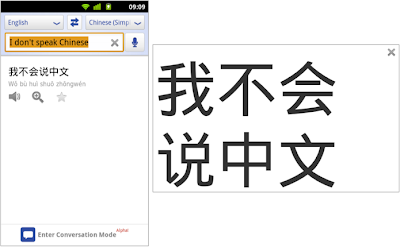 The Google Translate app for Android (bit.ly/translate285) recently gained an experimental handwriting-recognition feature. Tap the pencil icon in the top right and write or draw the words or characters to translate. 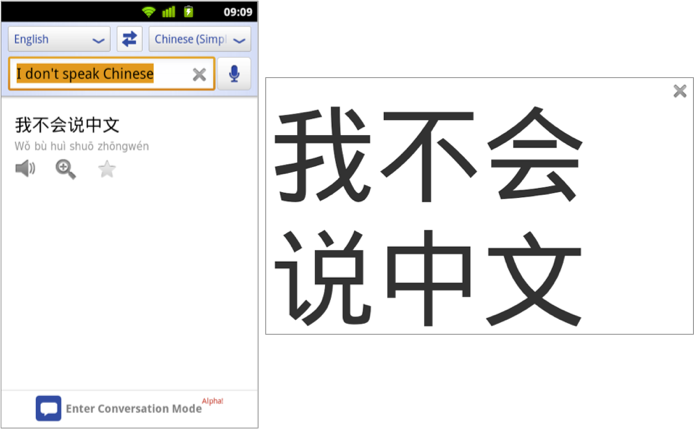 The app recognizes a range of languages including French, Italian, German, Japanese and Chinese.